A small nursing home in Frederick, Maryland uses Eversound to enhance resident engagement, promote independence, and alleviate behavioral challenges, helping to uphold its 5-star quality rating. 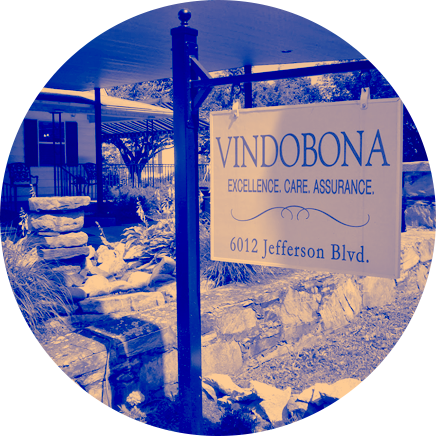 Vindobona provides personalized care to its residents in a home-like setting. The community wanted to offer unique experiences to its residents through innovative programs to further increase resident engagement, promote independence, and alleviate challenging behaviors. Meeting these goals meant using new technology in a building with historically poor cellular reception and connectivity. Vindobona began using the Eversound system regularly for monthly resident meetings, church services, music therapy, and exercise classes. They found that Eversound complimented their preexisting auditory programs such as Music & Memory and iN2L. Vindobona expanded its use of Eversound to outside entertainers and instructors who performed or taught at the facility, such as musicians and yoga teachers. Staff found that they could successfully communicate with residents regardless of impairment level. Residents demonstrated immediate improvements in autonomy and independence, mood and energy, and attendance and participation. Eversound also deeply impacted by improving staff efficiency. By using Using Eversound to alleviate distractions, staff found they didn’t have to repetition and time spent dealing with dysfunctional behaviors. Eversound has made a huge impact on participation and engagement . . . Using Eversound has led to smoother shift changes for staff as residents experience less need and demonstrate fewer behavioral challenges."